The Santa Clara Valley Water District voted on key items to help prevent future floods along the Coyote Creek. Damian Trujillo reports. 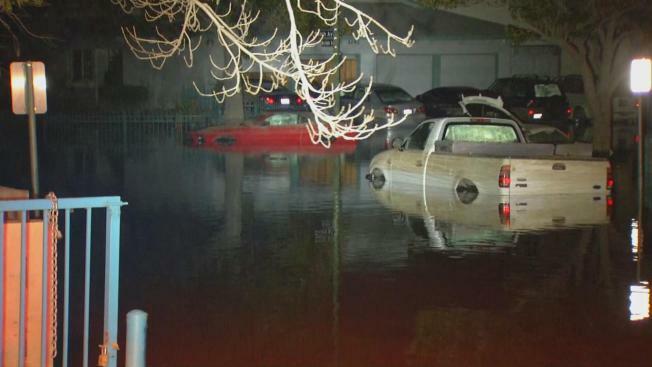 That's the message Tuesday from the Santa Clara Valley Water District to the February flood victims in San Jose. On Tuesday, the water board voted on key items to help prevent future floods along Coyote Creek. Things remain far from normal in the hard-hit Rocksprings neighborhood. Damaged furniture from the floods can still be seen sitting curbside. The water district on Tuesday took the official first step necessary to try and prevent or minimize future floods. Board members at the meeting voted to extend the planned flood control project to Tully Road and allocated $600,000 to protect the flood zone next winter. "It was pretty bad," flood victim Narin Seoung said of the February incident. "We moved around, lived with a friend." The Seoung family was finally able to return home more than two months after the floods. Other homes remain under repair. John Varela, chairman of the water district board, recently returned from Washington, D.C., where he and others lobbied the Army Corps of engineers for federal funds to build a flood control project along Coyote Creek. The project was rejected by the Army Corps several years ago. Now the district hopes local congress members help them make their case after seeing images from the historic floods. Flood district officials said a permanent fix will require the feds working with the local government to create more long-term flood control solutions.